I am an accredited music teacher, with a Masters in Psychology and more than 20 years teaching experience. I have the knowledge to teach students from fresh-faced beginners through to those with professional aspirations. From formal weddings to St Patricks Day festivities and anything in between, I am available for hire as a professional musician. I play regularly with numerous ensembles and bands throughout the Bay Area and beyond. I firmly believe in customizing musical education programs for every student to help foster their appreciation of music, to expose them to new techniques, and to ensure they are maximizing their talents. 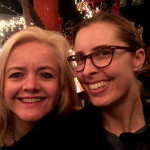 "I feel so fortunate to have found Belinda right here in my Oakland neighborhood. 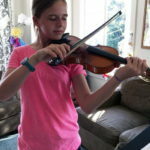 My daughter started violin with Belinda when she was seven, and three years later, I am so impressed with the progress my daughter has made in her violin practice under Belinda’s instruction. "Belinda inspires my daughter to appreciate the beautiful sound of the instrument and to improve and grow as a musician. Additionally, I appreciate the compassion, flexibility and sense of humor that Belinda brings to her teaching. I highly recommend Belinda for anyone looking for an enjoyable learning experience." 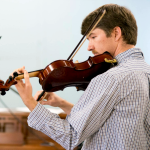 “I have been taking violin lessons from Belinda for over two years now. I am very happy with my progress under her guidance. I have increased the amount of time I practice from 30 minutes a day to about 45-60 minutes because I enjoy my progress from her lessons so much. "When I first came to Belinda, I was starting from scratch. Learning the cello was always something I wanted to do but only had the means when I was in my 30s. Belinda didn't hesitate about taking me under her wing and turning me into someone comfortable playing in front of other people. As an adult, she customized my learning to reflect my style and also my interests. It wasn't simply playing nursery rhymes. We progressed quickly into music I responded to, and that has kept me interested." 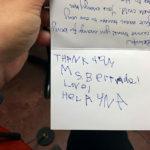 "I cannot thank you enough for being the perfect music teacher for our very distractible child. Your energy has allowed her to blossom musically just at the exact rate she needed in order for her to love what she has learned."